Stacy Says It: Karma is a Beast! I have this irrational contempt for people who cry all the time. Whether it be over disappointment, fear, stress, sad moments, happy moments, or whatever, whenever I come across folks that weep physical tears frequently, I cringe. It makes my skin itch. Let’s be clear here: I don’t flinch because I’m uncomfortable with people crying or displaying emotion. I truly believe emotions of every type are not only valid, but should in fact be displayed frequently when the situation calls for it, if not from time to time. I cry on a regular basis and tend to be a decent listener when those around decide to bust out the tissues. No, I get annoyed with people who tend to default to crying on all occasions where an emotion is deemed necessary, but it’s not always clear which one. It’s like playing Uno and every time you get a Wild! Card you choose red. EVERY. SINGLE. TIME. To me it signifies someone who’s not prepared to process what’s coming at them. Stub your toe on the radiator? Burst into tears. Receive a demerit at work over your performance? Have a good weep. Lose a $100 bill out of your back pocket while riding the train? By all means, cry about it. Experience disappointment over a friend hurting your feelings? Go ahead, turn on the waterworks. It simply drives me crazy! Whether it’s a friend, family member, co-worker, or in some cases, a character on television, I usually have to physically leave the scene to avoid confrontation, if someone is sobbing or being dramatic over something that could have been addressed without tears. This is not someone blubbering over a breakup or wailing over a death or shedding tears over the birth of a child. This is someone going Tammy Faye Baker over molded cheese. People using dramatic crying as a catch-all ignites such a visceral response from me that I sometimes have to wonder about the source of my angst. 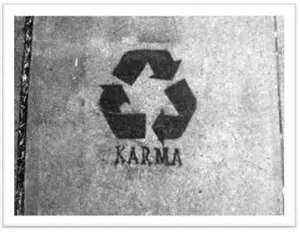 Ask and you shall receive, as karma has a funny way of rearing its ugly head. Over the past year, I have developed this sick and uncontrollable habit of crying over small achievements and performances. Not my own achievements or productions, but anyone else’s, such as my family, friends, acquaintances, or even strangers. If a child, any child, performs anything on a stage, any stage in the world, my eyes fill up with crocodile tears that eventually make their way down my cheeks. If I hear a street musician hit middle C while playing his sax in the urine-reeking subway station to an audience of none, my nose starts to get stuffed up trying to stifle a jewel from dropping out of my eye. When our 14-year-old babysitter scores 2 points in her high school basketball game, I instantly mist up. When the priest at church honors the men and women, none of whom I know personally, who’ve volunteered their time fundraising, my eyes start to burn trying to hold in the teardrops that have been created in the ducts beneath my eyeballs. I don’t even watch Dancing with the Stars, but when I accidentally catch it while flipping TV stations, my eyes automatically well up the second a dancer takes the stage. When my daughter practiced her song on the piano at home before auditioning for the musical, I created 50 mL of saline in 10 seconds flat. For cripes sake, I even cried when my partner was describing the flash mob dance she and her coworkers performed at their last management meeting. Simply put, I have a problem. Surely you can imagine my dismay when my illogical disdain toward those who cry as a pastime has been overshadowed by own irrepressible tear production. Without warning, I am reduced to Tearful Tina. While I am fully aware that I am being forced by the universe to have compassion for others through experiencing my own lack of control in crying at inappropriate moments, I feel inclined to wonder if I brought some of this on myself with my own theatrical distaste toward the staged snivel. After all, just as the crybaby has the choice to tackle his emotion with other defenses than tears, the finger-pointer can also choose to not step onto that soapbox. I can’t help but apply Friedrich Nietzsche’s words when he said, "The man who fights too long against dragons becomes a dragon himself." While this dragon is still queasy when it comes to a public display of waterworks, I’m now more aware than ever of the ludicrousness of my aversion. I’m quickly becoming more tolerant of others’ actions through the charity displayed to me regarding my own. No one seems to notice or really care, other than my partner and my kids, when I quietly tear up at moments that don’t deem crying. I’ve certainly never had anyone physically leave the room in disgust after catching a glimpse of my wet cheeks. Maybe once the lesson has been absorbed, my tears will dry up. Until then, you’ll find me in the audience, dabbing at my eyes. Agree, I too get teary eyed over many things I never used to, (stage performances of children I know, not just my own; when they show particular hardships for contestants on The Voice; parts of The Biggest Loser, etc. ), however, I find myself becoming irrationally irritated over those that cry, not simply tear up, at the drop of a hat; and become overly dramatic on something I find ridiculous. Unfortunately the proximity of those that fall into that category are physically near by my home. I watch it unfold or hear about it and wonder if I am irritated that they immediately receive the reaction from those around them they are hoping to achieve, sympathy? Or, maybe I am just irritated that I don't have it in me to squeeze out those tears to try to play upon others sympathy and garner support for my cause. Or, is it because I have seen these individuals act cold and callous in other situations and have a hard time buying the crying act. Whichever the case, I usually end up avoiding these individuals like the plague in the event I witness one of their well known "crys" out of fear I may hurl in public. As the Modern Family show just taught me, maybe I can in my mind repeat this great phrase Clare introduced to Lily, "Do you want me to call you a Wahmbulence? Wahhhhh! Wahhhh!" Love your blogs, thanks for letting me know I am not alone on such things!